Muncie-Michael W. Bunch, 58, passed away Wednesday afternoon, October 17, 2018, at the Indiana University Health Ball Memorial Hospital following an extended illness. He was born on, October 19, 1959, in Marion the son of William and Helen Mae (Lee) Bunch. Michael is a 1977 graduate of Madison-Grant High School and later married the love of his life, Susan J. (McCoy) Bunch on October 31, 1982 in Fairmount, Indiana and she survives. Mr. Bunch had worked for the American Chevrolet Dealership in Daleville as the Parts Manager for several years prior to his disability. He enjoyed music of all kinds, target shooting at the range. 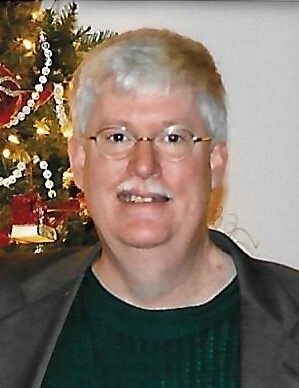 Besides his wife of 36 years, Susan, he is survived by his stepson, Stacey John McCoy, Muncie; two grandchildren, Brandy and Caly McCoy both of Anderson: two sisters-in-law, Sharon Bright, Grand Rapids, Michigan and Karen Fager (husband-Larry), Tippecanoe; niece, Shawna McIntyre (husband-Ben), Argos; great niece and nephew, Hunter and Camryn McIntyre, both of Argos. Cremation is being done with a private family memorial service at a later date. Memorial contributions may be made to Cancer Services of East Central Indiana (Little Red Door), 2311 W. Jackson St. Muncie, IN 47303.